Gannon University’s literary arts magazine has seen a big change in its adviser position. Totem is Gannon University’s award-winning literary and arts magazine, which has been around for over 35 years under one name or another. The magazine, released every April after being worked on during the school year, includes all types of art, poetry and prose submissions from anyone connected to Gannon, ranging from students to staff to alumni. The magazine has been highly regarded for years. 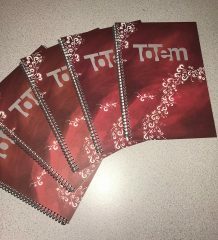 Last year, the American Scholastic Press Association bestowed a first-place with special merit award on Totem, and also named it the nation’s Most Outstanding Literary Arts magazine. It marked the 23rd consecutive year that the magazine had earned first-place recognition from the ASPA. But the awards weren’t the only major news pertaining to Totem last year. The other major announcement came in the form of Berwyn Moore’s decision to retire from her full-time position after 33 years at Gannon. Moore was a professor of English and the Totem’s longtime adviser. 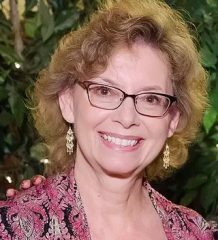 “Every year has been a wonderful experience and a great adventure,” said Moore, who has been succeeded by Carol Hayes, a Gannon English instructor. It was a hard decision for her to make, she said. Moore said that Hayes was a good choice for the position due to her experience with creative writing across several genres as well as some experience with journalism work. She had also taught several creative writing classes while Moore had been on sabbatical. Hayes said the choice for her to be Totem’s new adviser came from professor Laura Rutland, Ph.D., the head of the English department. Rutland and Moore then decided to ask Hayes. When Hayes was asked, she was in complete shock. The idea of taking over for Moore had never occurred to her, she said. After Moore had been adviser for so long, she said she struggled to imagine someone else doing it, let alone herself. Moore and Hayes are close friends, sitting and talking to each other often, Moore said. Moore is proving very supportive to Hayes as she takes over the position. Moore is also taking steps to make sure Hayes is well-prepared. She said she has emailed Hayes many things, and there is also a manual to help that a former editor, Tomee Barnes, created. This hasn’t stopped Hayes from feeling the pressure. She said that the adviser is such an immense role. Hayes said she is glad to see that Moore is still here and able to provide wisdom and knowledge when needed. She also said she expects others to help if needed. “I’m just grateful that there are staff members who have been through the sequence as a whole,” she said. With this, she is largely referring to Julia Fulton, a senior English major and last year’s editor and the current co-editor who has been involved with Totem since her sophomore year. Fulton, however, is not unaffected by the change in adviser. There are things Fulton admits to forgetting that Moore would do in the past. 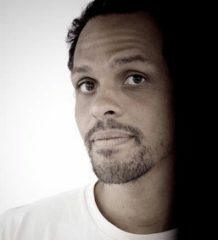 “A lot of the aspects of production would not have been possible without Berwyn,” Fulton said about last year’s issue. This year she said she’s taking on more of a director role to account for the new adviser and new co-editor, hoping to teach both people. Though she may view this year as a challenge, Fulton doesn’t have any major concerns at the current place in production. The only thing she was concerned about was the number of submissions, she said. The initial deadline date of Nov. 2 for submission has passed, but the acceptance of written submissions has been extended to Nov. 30. The acceptance period for art has ended though, and there were over 75 entries. Since the extension, few new written entries have come in. “I think that as a student myself and knowing how my peers work, we will get sufficient submissions in time for the deadline,” Fulton said. Hayes said she didn’t have too many big concerns yet either. “I don’t know enough about the process to be concerned,” she said. She also said that might change though. “There are always snafus and the publishing process never runs smoothly,” she said. Her worries are more toward living up to past achievements, referencing the history of awards. The magazine has received awards almost every year since 1996 under Moore’s leadership and it has only grown with Moore, she said. Moore has been through a lot with Totem, witnessing and advising many changes firsthand. One prominent change was the change in name. When Moore took over as adviser in 1987, the magazine was known as The Phoenix. Along with the change in name, the magazine has also expanded greatly in the 30 years since then, in page count as well as becoming a university-wide endeavor, Moore said. “It had just been a small, stapled booklet then,” she said. Early on, she instructed The Phoenix to begin accepting art submissions and had the binding changed to a perfect binding, matching the kind found in books. “The book itself has become an artifice; it has become a work of art,” Moore said. She also said she wanted it to be entirely student-produced. She would let the students take the lead and offer advice when it was appropriate. That had been her goal from the beginning. “And I feel I have been pretty consistent in that,” she said. Now the torch is being passed to Hayes and she said she is very excited about the whole process. “It’s a good semester to be learning to do something completely new,” she said. This will help her because there is a lot to learn, she said. “Every little thing needs to be learned from square one,” Hayes said. She said she’s worried about assuming things will be clear between groups, but that doesn’t always happen. There was a recent miscommunication between Totem staff and the third-floor secretary’s office staff in Palumbo. “I suspect every year is different anyway,” Hayes said. This brings its own types of challenges with it though. This is found in not having firm expectations. She compared it to a new class or year. You can know what to expect a little, but there is little sense of knowing what to expect fully. There’s no familiarity with having done this once before, she said. The only experience she has had with Totem before taking over for Moore was in submitting or judging the art submissions alongside other members of Gannon’s English faculty. Still, she is excited to see what everyone is doing artistically and with their writing. She is also excited for the Gannon Writing Awards in April. Everything will be done then, and people will be seeing this year’s work for the first time and the Totems are all in stacks, she said. Fulton feels similarly to that. Aside from being excited for this year’s team, she cannot wait to be done, Fulton said. This is also her fourth and final year at Gannon, and she has had a part in Totem production all four years. This comes from all the hard work she put in last year, Fulton said. Last year she served as editor, working largely alone after her assistant editor quit part way through the year. Now she is happy to see that it paid off in the form of the ASPA award. Ending her time as adviser, Moore could not be happier to receive the award, she said. And hopefully, this is not the end for Totem’s success, Fulton and Hayes both said. “Totem really is so beautiful,” Hayes said. The publication is a conglomeration of different types of work from students and faculty across all departments, and this gives some students, like junior chemistry major, Katie Galgozy, a chance to do something they don’t always get to do. Fulton is also optimistic for the year to come. She said she hopes to be able to reclaim more creative freedom than she had last year. It’s a challenge, she said, to balance the design and concept she, as editor, creates with what Gannon would approve. She plans to fight for the concept she wants this year. “Expect something you haven’t seen yet, and you’ll be pleasantly surprised in April,” Fulton said. There is still a lot to do before the end of this school year, though, she said. There is a new adviser now, and Hayes will put her own spin on the position, as Moore had done when she first became adviser. Ask her again in April and she might say something entirely different on what this year’s Totem will be, Fulton said. Whatever this year’s Totem holds, Moore is sure it will be great.